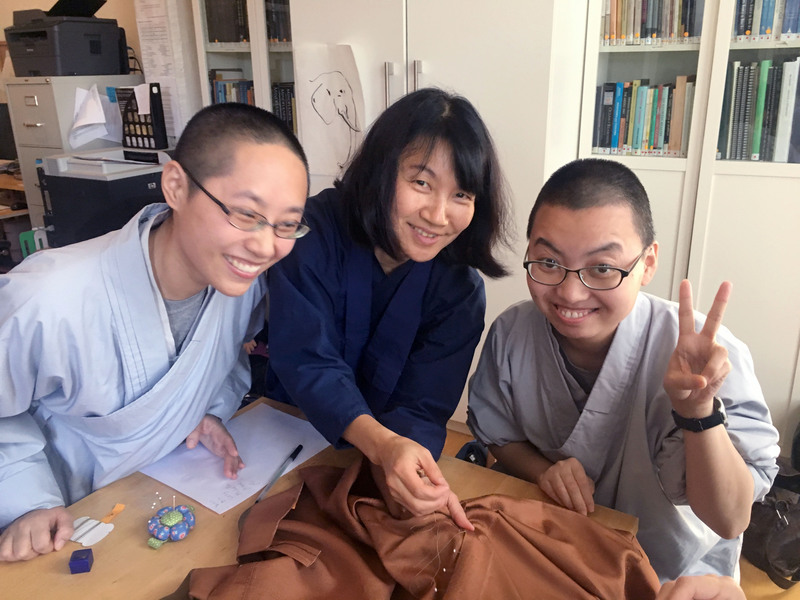 The Brooklyn Zen Center sangha is currently sewing a nine-fold okesa (full-body robe) for dharma teacher and senior priest Rev. Kosen Greg Snyder. The okesa is completely hand-sewn using a traditional rice field pattern. The nine jo okesa is the teaching okesa, worn for dharma talks and ceremonies, and is traditionally sewn by the Zen students in the sangha, especially those working with the teacher for whom it is a gift. 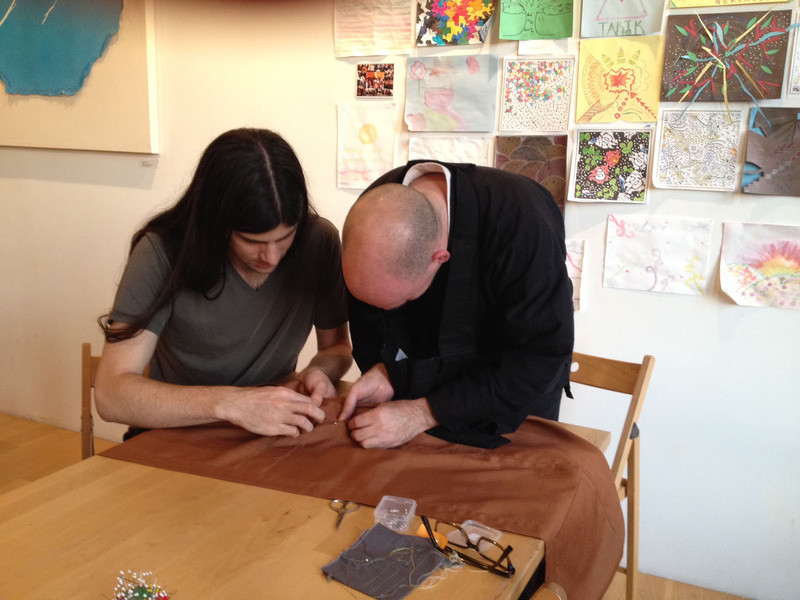 Sangha members Kiku Morimoto and Layne Negrin marked and cut the fabric instructed by a sewing teacher, Rev. Korin Anita Swann, in the summer of 2017. 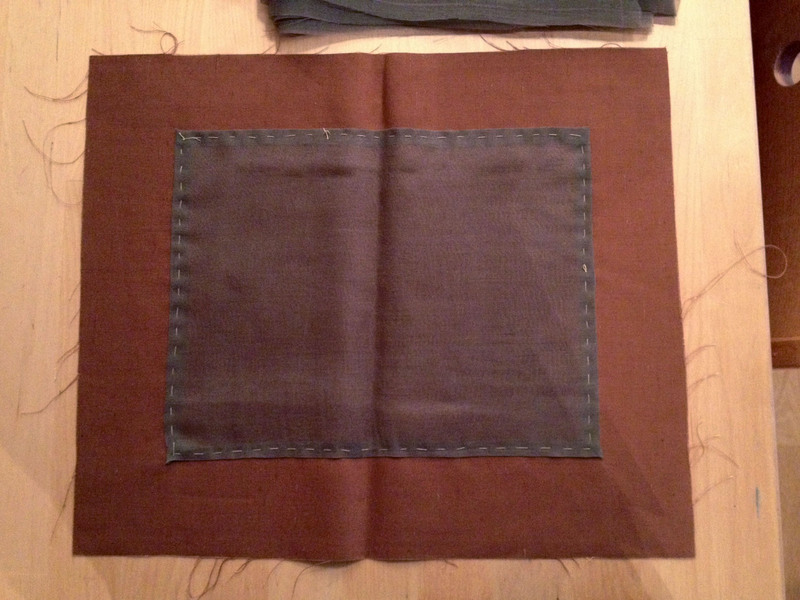 Okesa sewing is an important Zen practice and it’s a tradition for every sangha member to add a stitch. Everyone is welcome to join the sewing of the okesa. No experience or sign up is necessary. 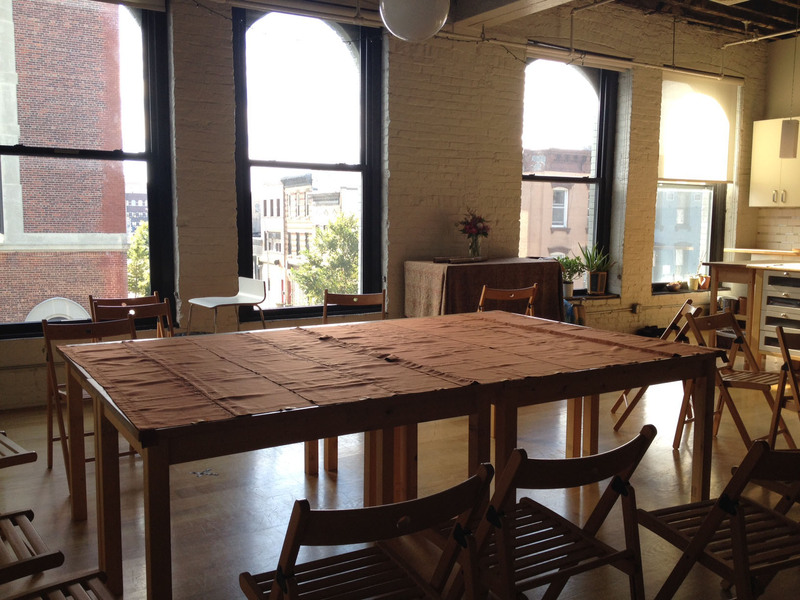 Sangha members can just drop in one of the upcoming sewing practice opportunities on November 28 and December 5, from 3 to 6:35 p.m.
We look forward to sewing together!